​​​​​​​ SAN ANTONIO – CPS Energy awarded a $16.3 million contract to Renewable Energy Systems Americas Inc. to build a new solar and battery storage project. Construction will begin in fourth quarter 2018. The project is expected to be operational by the second half of 2019. Crews from RES Americas will build the project on 48 acres at the Southwest Research Institute, where a five-megawatt solar farm will feed racks filled with ten megawatts of batteries. 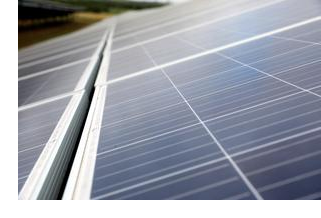 The solar farm will charge the batteries during peak hours of sunshine in the early afternoon. The project, a partnership between CPS Energy and Southwest Research Institute, is being subsidized by a $3 million grant from Texas Commission on Environmental Quality.